Metal brooch made with glass stones. Various colours available in each model. 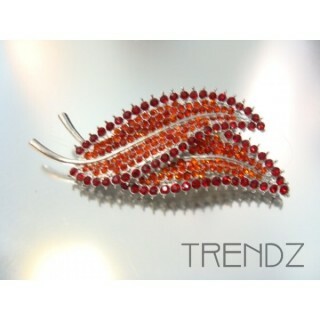 Metal brooch with Czech crystal stones. 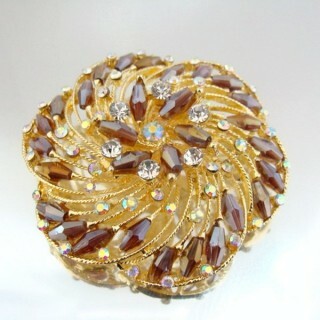 Golden colour fashion metal brooch made with crystals and / or plastic pearls. Variety of designs and colours. Silver coloured metal fashion jewellery brooch with glass stones. 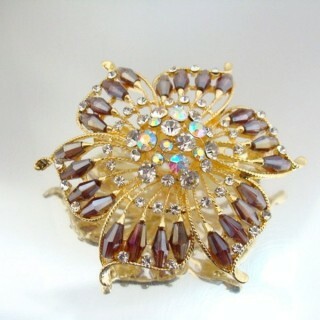 Gold or silver coloured metal brooch with glass stones. Variety of models in a variety of colours available. 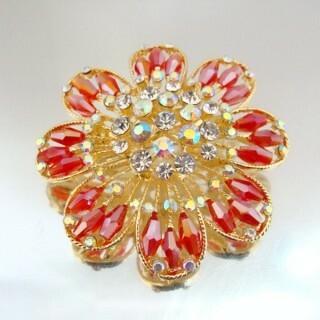 Golden coloured metal brooch with coloured crystals and coloured epoxy coating. Variety of models in a variety of colours available. 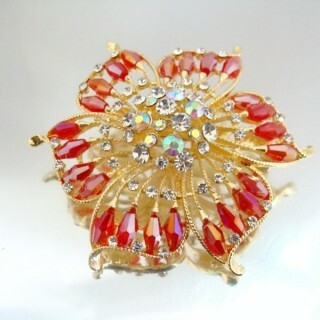 Metal brooch made in South Korea with Czech crystals. Variety of colours available. SPECIAL OFFER: HALF PRICE. 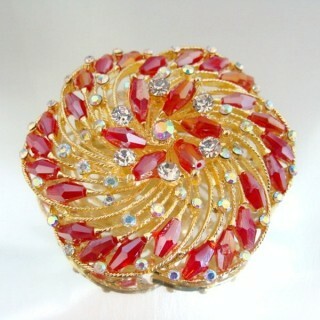 BROOCH WITH CZECH CRYSTALS IN SIAM RED. CZECH CRYSTAL BROOCH IN BLUE ZIRCON.